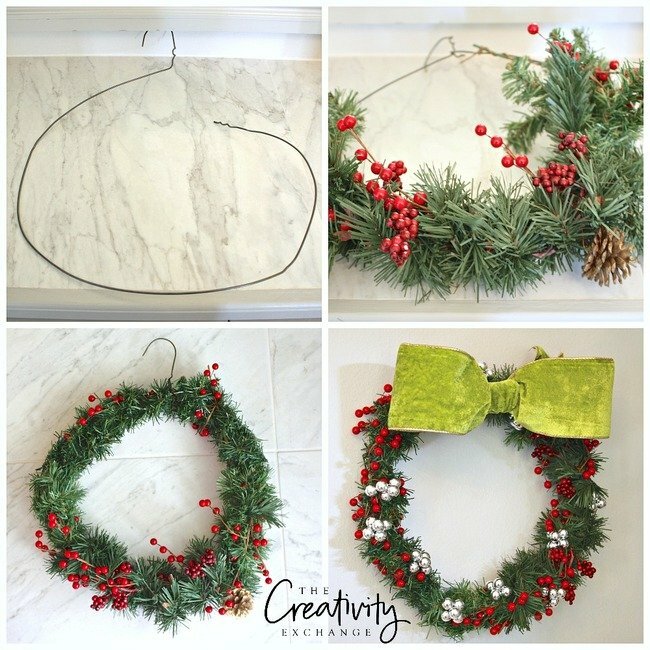 There are so many quick and easy DIY Christmas wreaths out there in Blogland and over the years, I have shared a few DIY wreath projects myself. 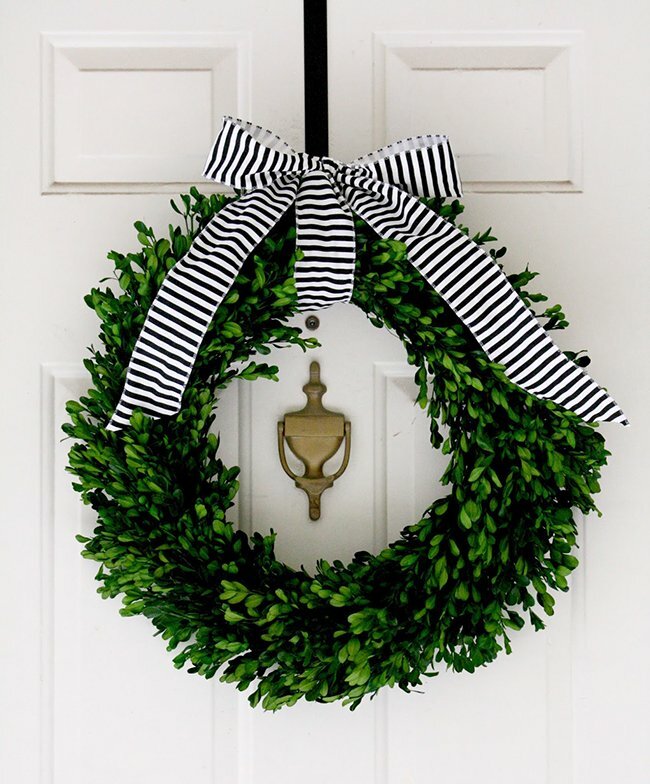 Of course, wreaths are great for the front door but it’s amazing all the things that you can do around the home with a wreath- like hanging on a mirror, on the front of a bookshelf, or just hung on a wall. 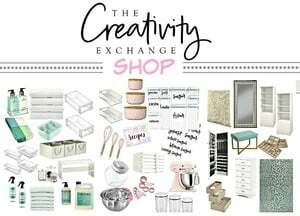 Today, I wanted to pull together a few of these fun and festive projects from other bloggers and myself, to really show you all of the creative possibilities. 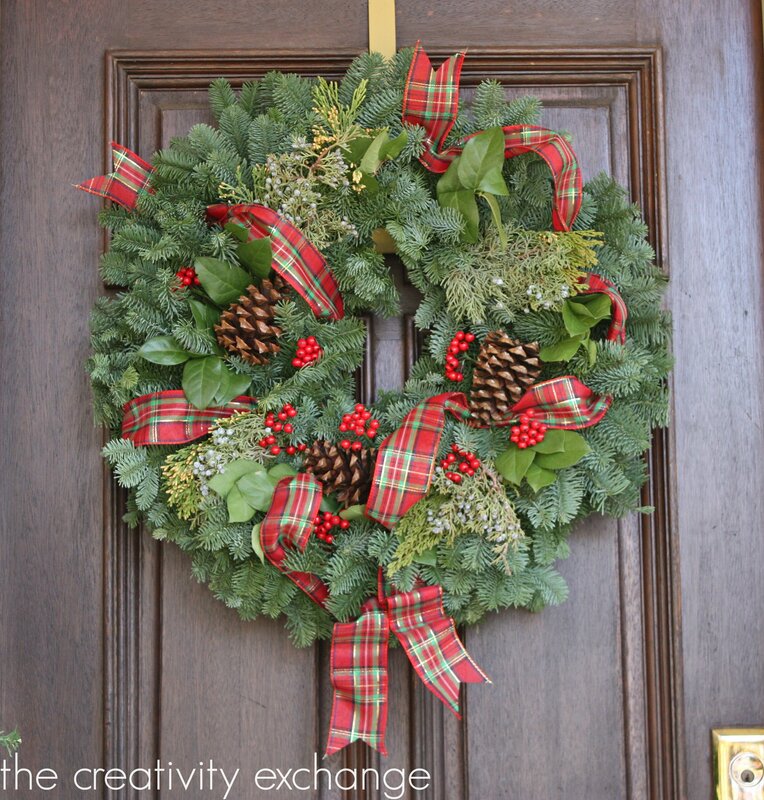 My friend Kris from Driven by Decor made this stunning fresh swag wreath last year that is one of my favorites in all of Blogland. 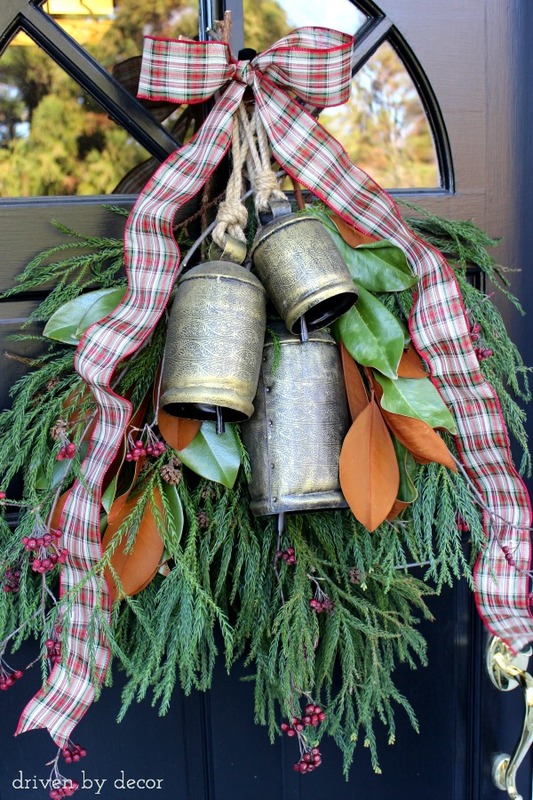 Look at how easy this is, Kris just tied in some bells, fresh greenery and ribbon. 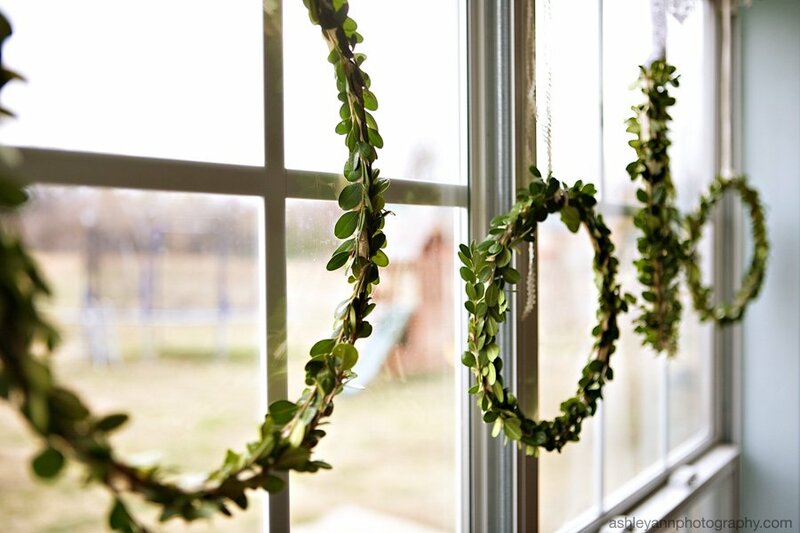 I love these easy mini wreaths from my friend Laura Trevey. 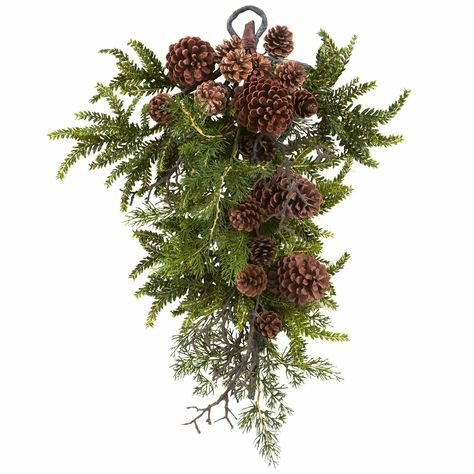 These are so sweet and could be hung anywhere throughout the home. 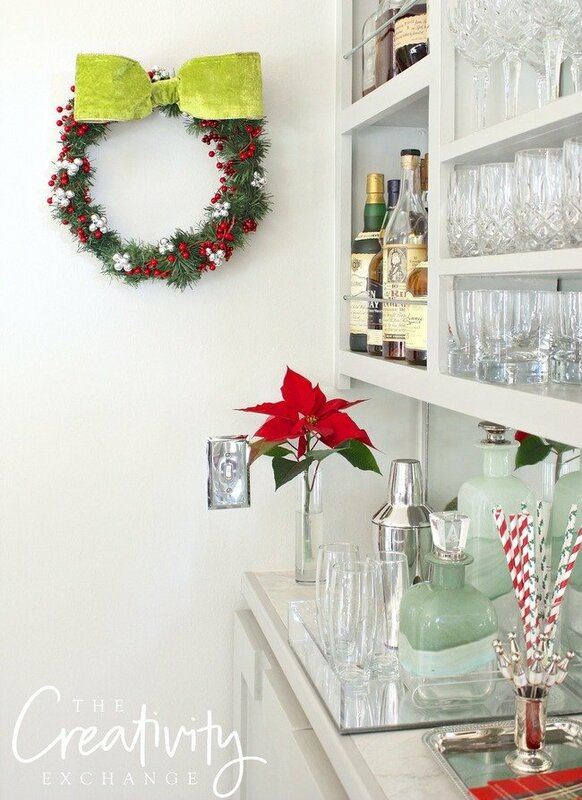 I made a quick wreath with a wire clothes hanger yesterday for my bar area with extra artificial garland, berry sprigs and mini ornaments. 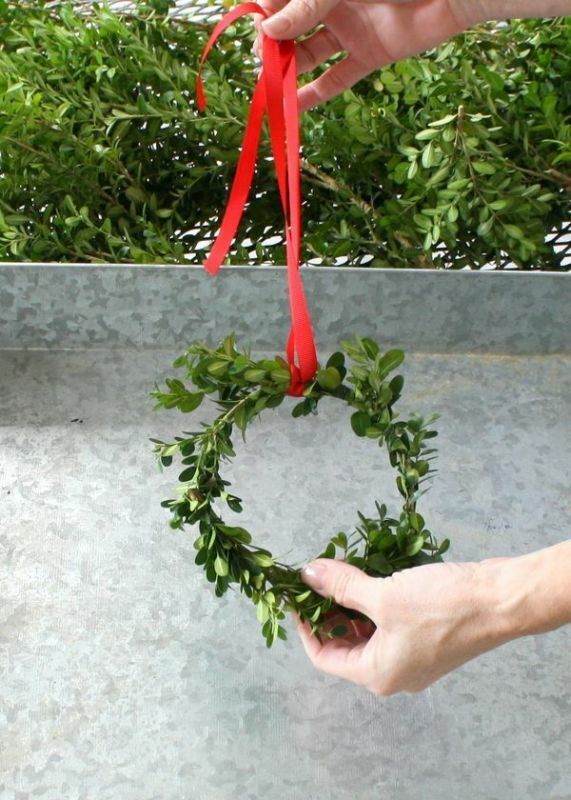 This is another quick way to make a wreath. 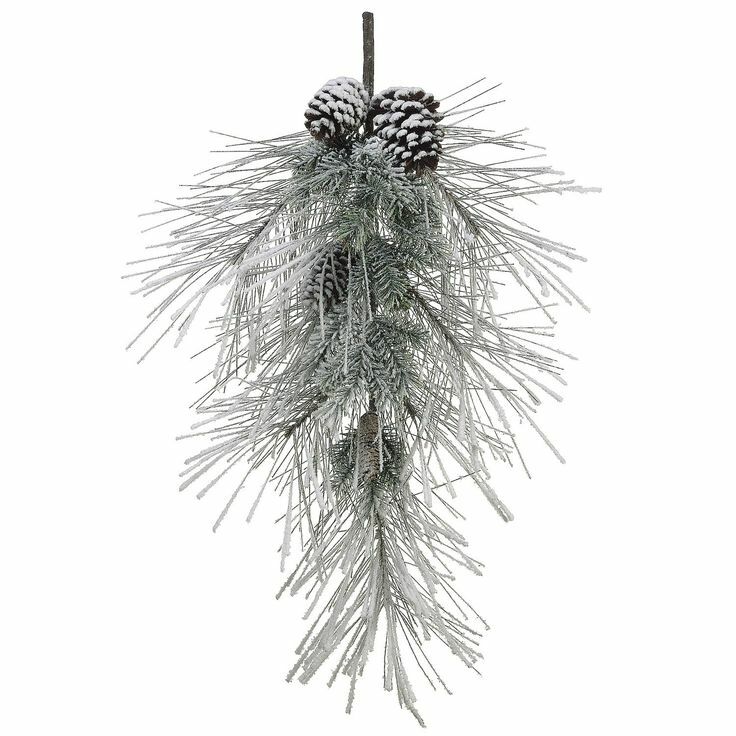 I just wrapped the pine branches tightly around the hanger and decorated it. 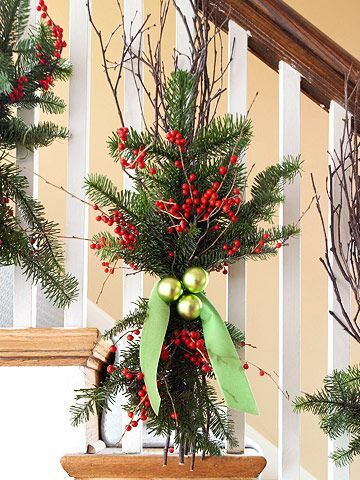 You can do this with any type of garland, Christmas balls or sprigs. 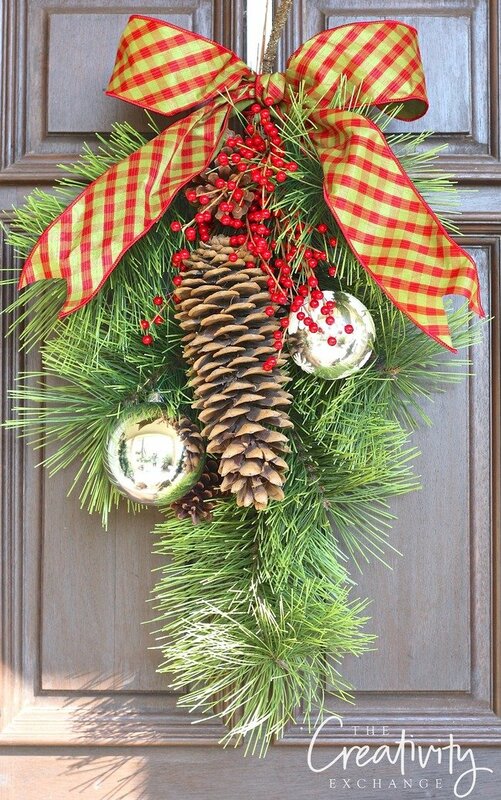 If you’re looking for last minute traditional front door Christmas wreaths, a store-bought grapevine or branch bundle wreath is quick and easy. 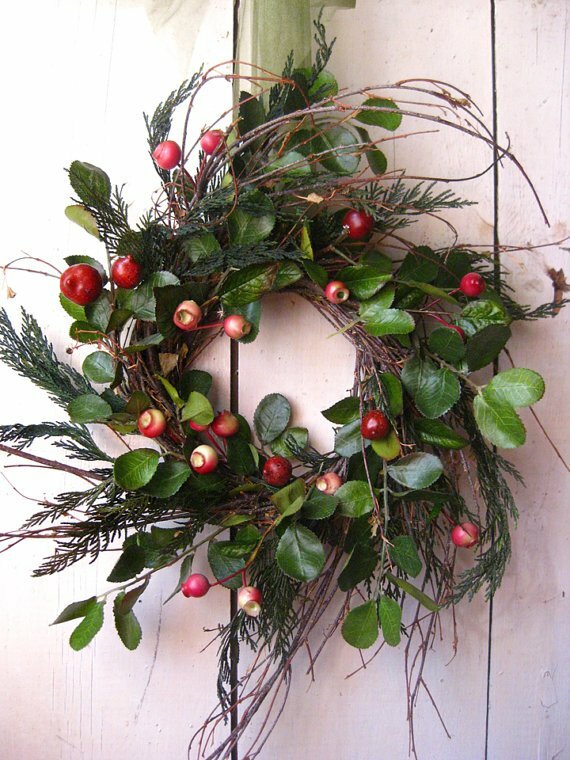 You can wire in fresh or artificial greenery and fruit for a simple and elegant wreath. 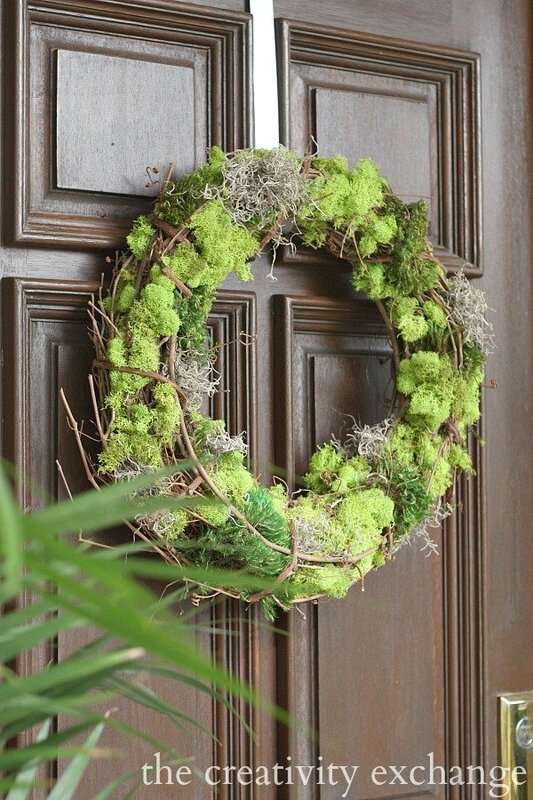 If you want something different and natural, I shared a tutorial a couple years ago for this reindeer moss wreath that I just loved. 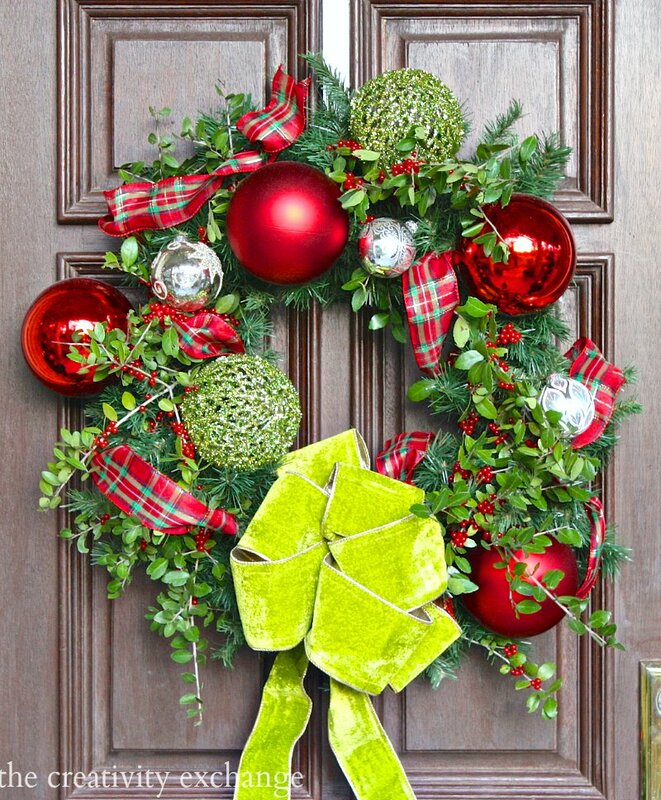 I also love this idea from Crane Concept here for just adding ribbon to an artificial boxwood wreath from Target. 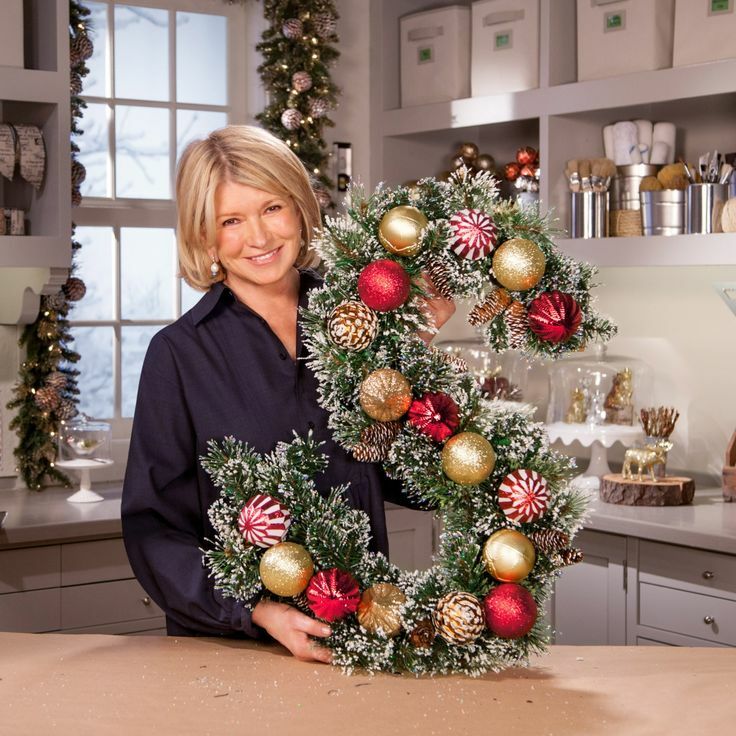 If you have a little more time on your hands, I just love this monogram wreath from Martha Stewart that would be so fun to make. 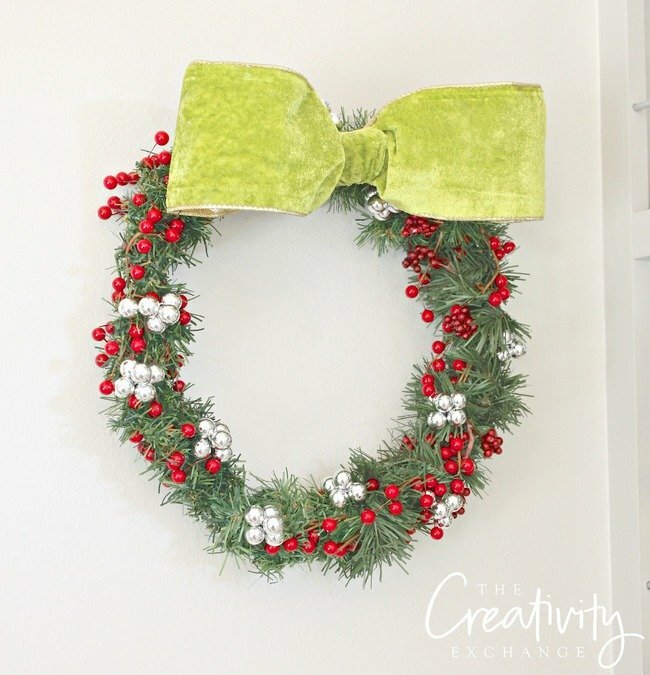 So many fun and creative ways to make pretty DIY Christmas wreaths for anywhere in your home. 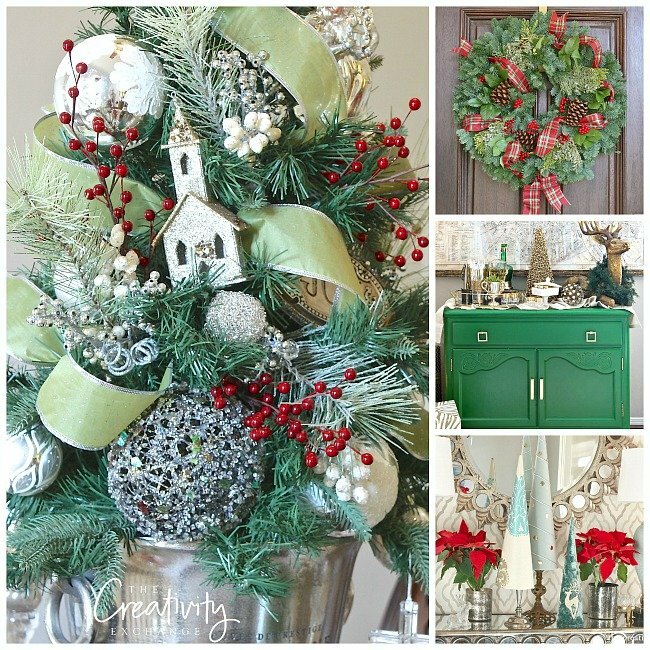 If you’re looking for more Christmas decorating ideas (and a few tricks), I shared a round-up here of some other DIY Christmas projects. 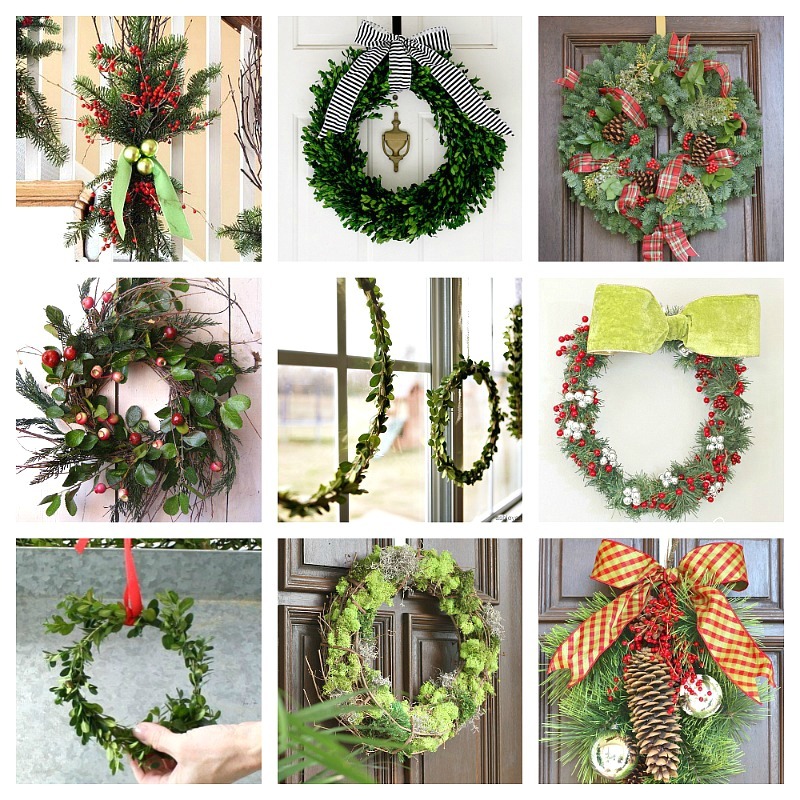 Beautiful wreath ideas! 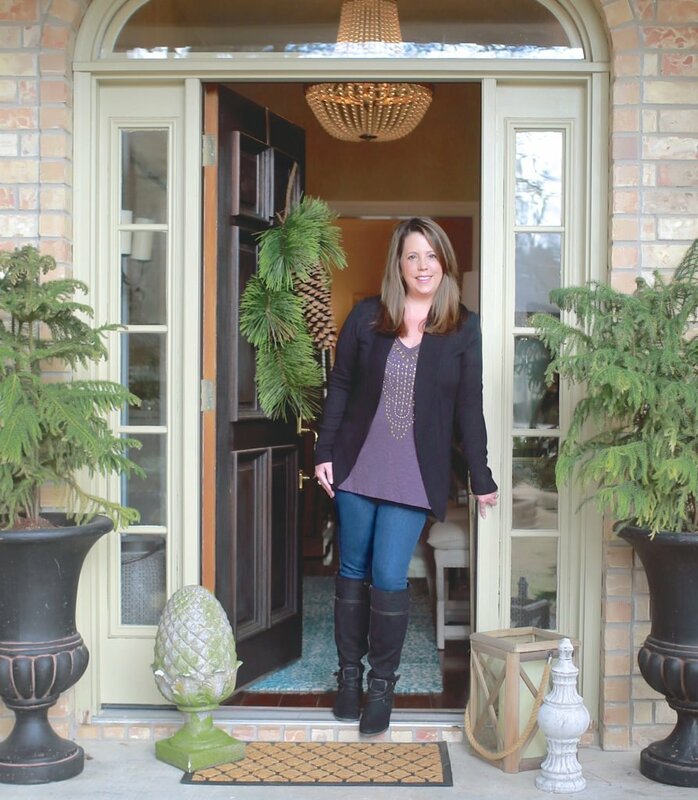 I cannot wait to make my own version!